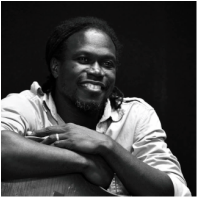 Born in Port Antonio, Jamaica Courtney started his musical career playing keyboard in a gospel band at age 12. He picked up the bass at age 16 and by age 19 went to play on cruise ships for the next 7 years. After moving to Chicago, he joined Indika band in 1997. Under his leadership Indika has performed extensively throughout the midwest and has backed an array of top reggae acts including Gregory Isaacs, Everton Blender, Frankie Paul, Ritchie Spice, Richie Stevens, Christopher Martin, Luciano, and Gramps Morgan just to name a few. Born in Belize City, Belize. He started singing around the house at the age of 3 and continued singing up until now. However, his singing wasn't always appreciated and at age 10 he would receive regular beatings from his teachers in school. He came to Chicago in 1998 and was hired by a Belizean Band who was looking for a singer. He gigged with them for about three years when he met Mervyn from Indika and they hired him in 2001 to be their lead singer. His influences are artists like Bob Marley, Peter Tosh, Alpha Blondy, Lucky Dube, Beres Hamond and many more. Born in Belize City, Belize. His influences are artists like Bob Marley, Peter Tosh, Alpha Blondy, Lucky Dube, Beres Hamond and many more. Kelsey Tarver, also known as "Father of Time" or "Arsenist", has been a professional drummer in the city of Chicago for over 17 years. 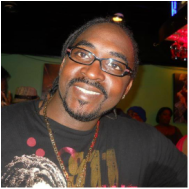 His experience includes all genres of music including Gospel, Latin, Reggae, Funk, R&B, Jazz, Blues, Country, Rock, and Neo-Soul. 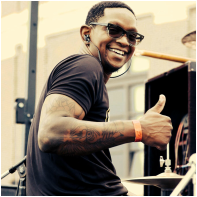 Kelsey has received three Chicago Music Awards with his reggae band “Indika”, and two Jazz band solo awards while attending Loyola University, where he received a degree in Music. Currently, Kelsey is the musical director & arranger for his band Random Noyse and performs yearly with the Chicago Symphony & Orchestra, and his band Tripping Billies. In addition to Kelsey’s responsibilities he also provides musical clinics and performance consulting to clientele. Boukman Eksperyans. However, he has always wanted to expand his immense musical interests, and in his quest to find the right musicians, came to Chicago. Toto is a versatile musician who does not like to be labeled as playing just one genre of sound. 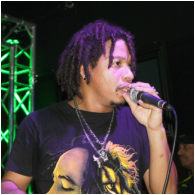 He is known to fuse jazz, pop, R&B, roots, reggae, and popular Haitian Kompa into one smooth sound. 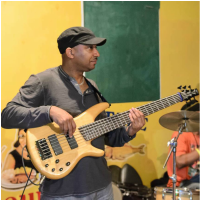 Besides playing lead guitar with Indika, he also formed his own band called Kreyol Roots, which plays Haitian influenced roots music.